Does Scuba Diving Have A Retirement Age? Mini-Ed is Diver Ed’s sidekick during Bar Harbor’s Dive-In Theater, a marine education tour boat, utilizing live video feed from the bottom of Frenchman Bay. Mini-Ed dives three times a day, all summer, interacting with a variety of marine life. Diver Ed will be presenting his underwater video footage from last year’s tours, including the adventures of Mini-Ed. 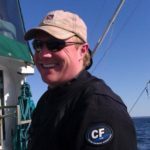 Ed Monet is a graduate of College of the Atlantic, commercial dive and scuba instructor, former Bar Harbor harbormaster, and Smithsonian marine ecologist. He operates the Starfish Enterprise featuring an adventurous look at the underwater world of Frenchman Bay in the company of an ROV, who plunges to the ocean floor with specialized video and audio equipment. Passengers can hear and watch what’s happening in the waters below in real time on digital displays in the boat’s cabin. Diver Ed always returns to the surface with a handful of sea creatures for observation and handling in the touch tank. Adobe ACE certified experts Hergen Spalink and Erin Quigley show you how to ace underwater images, either in camera or in post. Learn how to avoid (or fix) many of the most common problems faced by underwater photographers. Discover the amazing underwater realm of the Arabian Sea as we explore the waters off the coast of Oman. Our journey brings us to the Daymaniyat and Hallaniyat Islands, but also to scenic sand dune covered landscapes and desert oasis as we travel the land of Sinbad. Bali is known for its rich culture, lush landscape and diving. Divers enjoy the beautiful coral reefs, explore the Liberty shipwreck and search for Mola mola. Few divers realize that Bali host some of the best macro diving. Join Jim and Pat as they explore the northeast shore of this exotic island. 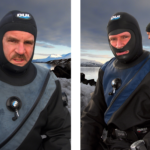 Jim and Pat Stayer are explorers and well-known underwater filmmakers dedicated to sharing remote dive destinations to audiences across North America. They have co-authored 3 books, produced 30 DVDs and won several awards. The couple were underwater cameramen for History Channel and their footage has appeared on several major networks worldwide. 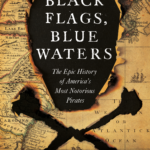 Set against the backdrop of the Age of Exploration, this slide-accompanied talk on Black Flags, Blue Waters reveals the dramatic and surprising history of American piracy’s “Golden Age”—spanning the late 1600s through the early 1700s—when lawless pirates plied the coastal waters of North America and beyond. 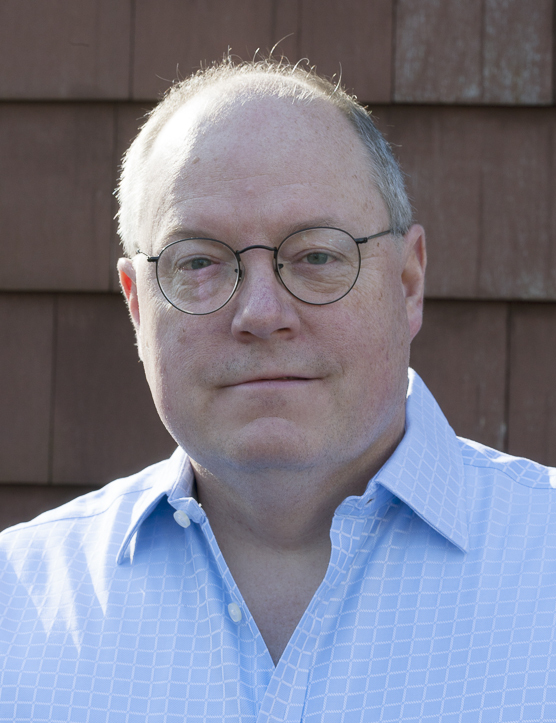 Eric is a bestselling author of books on American history, maritime history, wildlife, and the environment. Growing up near the coasts of New York and Connecticut, he was fascinated by the natural world, especially the ocean. At Brown University he came to realize that he wasn’t cut out for a career in science and shifted course, turning toward the field of environmental policy. Eric ultimately earned a Ph.D. in environmental policy and planning from MIT, where his dissertation focused on the role of the courts in the cleanup of Boston Harbor. Jake Stout will share some of the highlights of his experience this past year as the 2018 Boston Sea Rovers Intern. Have you ever wondered what lies beneath the 410 mile Connecticut River that makes it’s way from the sea in New York, North through Connecticut, Massachusetts, Vermont and New Hampshire? Annette has made many very historic discoveries in the past few years in this beautiful, unexplored treasure of hidden secrets and will present some of the most interesting finds that have made national news and television productions. Annette’s immense passion for archaeology and history over thirty plus years has led to countless major historic underwater discoveries including: the remains of an historic bridge built in 1812 in Putney Vermont; the location of structures and logging artifacts in the Connecticut River as featured in the PBS documentary “Dynamite, Whiskey and Wood”; co-leader of expeditions to locate and recover an historic 1928 Fokker Standard Universal aircraft in Charron Lake, Manitoba for the Western Canada Aviation Museum as seen on National Geographic; a documentary “View from Table Rock” depicting the 1800’s history of Bellows Falls Vermont. Never heard of a salmon shark? You are not alone! Come learn about these magnificent elusive and rarely photographed sharks. The presentation will entail my multiple year journey to locate, photograph and learn more about the salmon shark and to raise awareness to the challenges for survival these sharks face. Ron’s passion for the underwater world started in 1983 when he first experienced the thrill of scuba diving in Lake Mead, Nevada with his father. Ron started shooting underwater in 1996 after several years of diving and he spent the next several years working on his art and diving around the world. Although his father is no longer able to dive, his passion is as strong as ever because he can continue to experience the underwater world through Ron’s photography and stories. Ron is a member of the Sonoran Arts League, Desert Light Photo Group, Circle Mountain Art Association, Nature Conservancy, and Wetpixel. Dr Charash will give an overview of children and diving. Topics will include: Appropriate age to start diving, common childhood illnesses including asthma, diabetes as they relate to dive safety, and if children are at increased risk for a diving injury. Diving with disability and safety issues will also be discussed. This is a must attend lecture for any parent and for all Dive Leaders. Dr David Charash is a Dive Medicine Physician, Board Certified in Undersea and Hyperbaric Medicine. He is the Principal at Dive Medicine and Hyperbaric Consultants LLC. and he is the Medical Director at Inova Health Systems in Alexandria, Virginia. Dr Charash is a DAN Referral Physician and DAN Instructor, and he has lectured at the United States Coast Guard Academy and the United States Navy Base Naval Undersea Medical Institute on Dive Medicine and Basic and Advanced Diving Physics. On a yearlong assignment for National Geographic exploring marine space around the planet, Carrie has created the ultimate bucket list of 100 dives. Divers see the world differently from other travelers. Learn about the importance of ecotourism, how divers can be better travelers, and what they can do to make a difference. 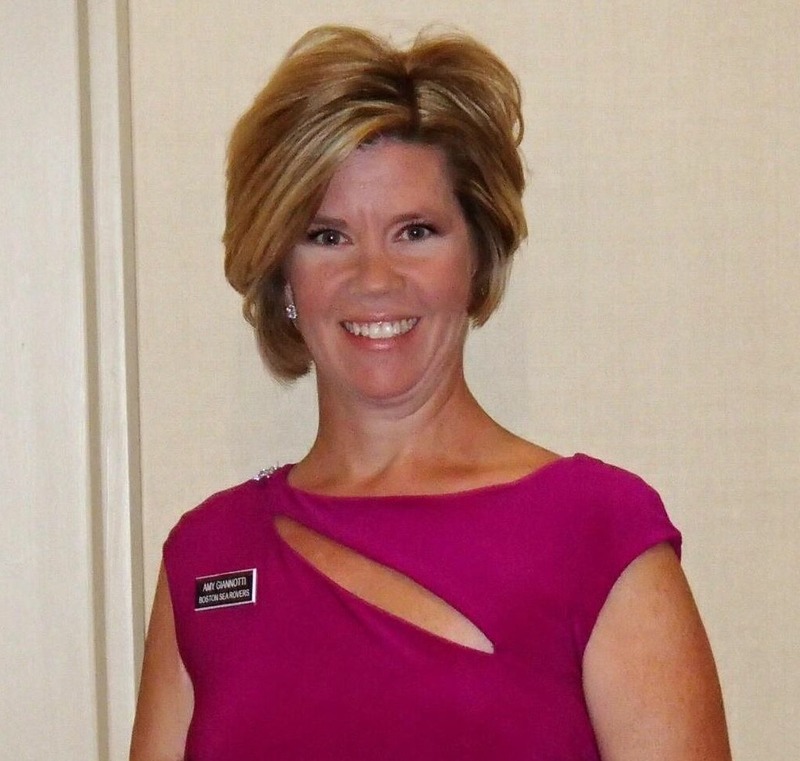 Carrie is an award-winning professional writer with more than 20 years of experience. She writes primarily for the National Geographic Society and is a Contributing Editor at National Geographic Traveler Magazine. Carrie loves traveling and storytelling and that passion has taken her around the world, from diving with great white sharks in Australia to riding reindeer in Mongolia. New Zealand has been her home for the past 15 years, although she is currently traveling the world with her husband on a year-long assignment for National Geographic. Using a drone can enhance your underwater video’s and photography. I will be discussing how to get the most out of your flying camera by learning how to the use the manual settings and a few techniques to give a your shots more professional look. 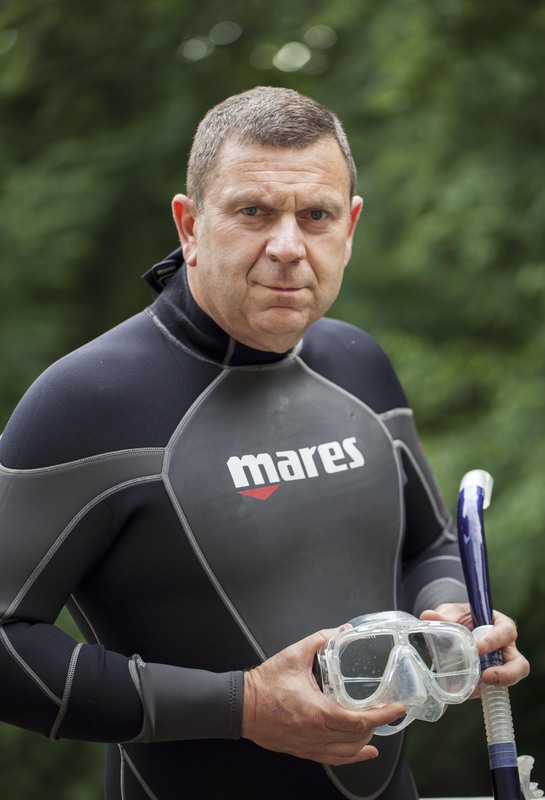 Peter Venoutsos has been a scuba diver since 1976 and a commercial diver since 1983. 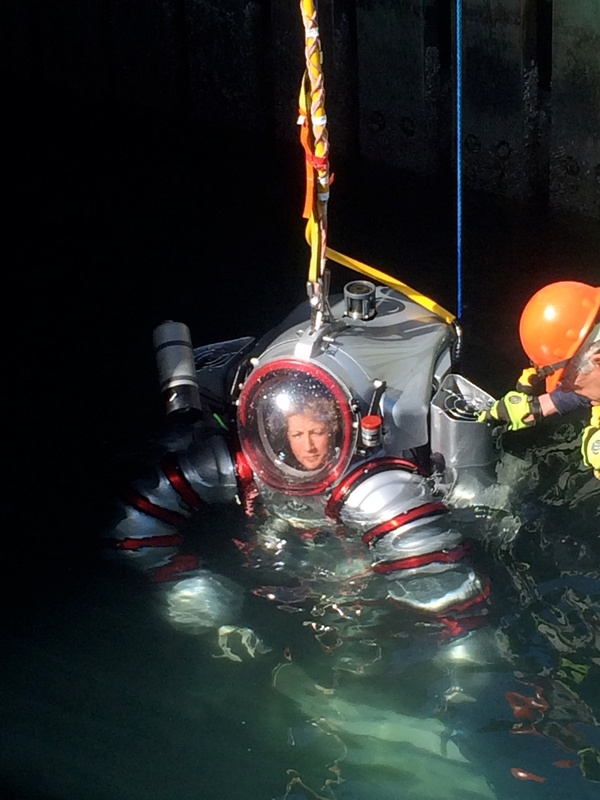 He has worked for private underwater engineering firms, the federal government, and the United States Navy. 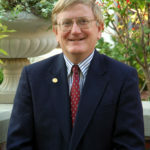 He is an active member of the Connecticut Underwater Archaeology Committee. 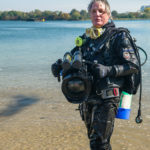 Peter has published many diving articles and teaches underwater photography. Betty Orr is Vice-President of Dan Orr Consulting, providing a variety of services to the diving community, and is the Managing Editor for Dive Training Magazine and Dive Center Business. Betty retired from Divers Alert Network after 23 years managing their insurance programs. She has worked with the Florida Department of Regulation and Sinclair Community College as an Associate Professor of Biology. Betty has Bachelor’s and Master’s degrees in Biology and has authored and contributed to many books and magazine articles on scuba diving, biology and general interest. She is an inaugural year member of The Women Divers Hall of Fame. When people think about diving in Australia, they usually imagine the Great Barrier Reef. But Australia is a huge country with magnificent diving on all coasts. In this presentation, Jonathan will focus on the temperate (some would say cold!) water in the south where you can see Leafy Sea Dragons, mating Giant Cuttlefish and Pajama Squid, among other things. 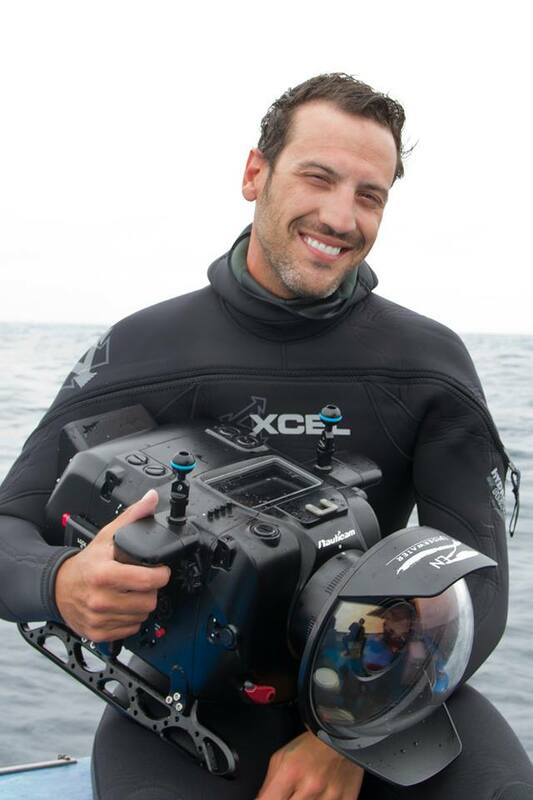 Jonathan Bird is a professional underwater cinematographer and photographer, shooting and producing over 40 films for broadcast and education on networks such as National Geographic Channel, PBS, ABC, USA Network, Discovery and even the SciFi Channel. He has won nine Emmy Awards, two Cine Golden Eagles, and over a dozen more awards for television and video work. He has published seven books as well as articles and images in hundreds of magazines, calendars, and books. Jonathan is the host and director of Jonathan Bird’s Blue World, an underwater science adventure series and is currently in post-production of his first IMAX film. The waters of Vineyard Sound, which separates the Vineyard from mainland Cape Cod, are littered with dozens of shipwrecks. The British freighter Port Hunter, sunk with millions of dollars of war supplies, the Vineyard Lightship, whose entire crew were lost when the ship sank in a hurricane in 1944, the 4-masted schooner Sagamore, the freight boat Kershaw and many others, all await divers to explore their remains in the relatively shallow, warm waters. Learning to scuba dive when he was just 12 years old, Don grew up diving the fresh water lakes of Wisconsin and Minnesota and the deep water shipwrecks of Lake Superior and Lake Michigan. He moved to Cape Cod in 1983 and fell in love with the incredible shipwreck diving. 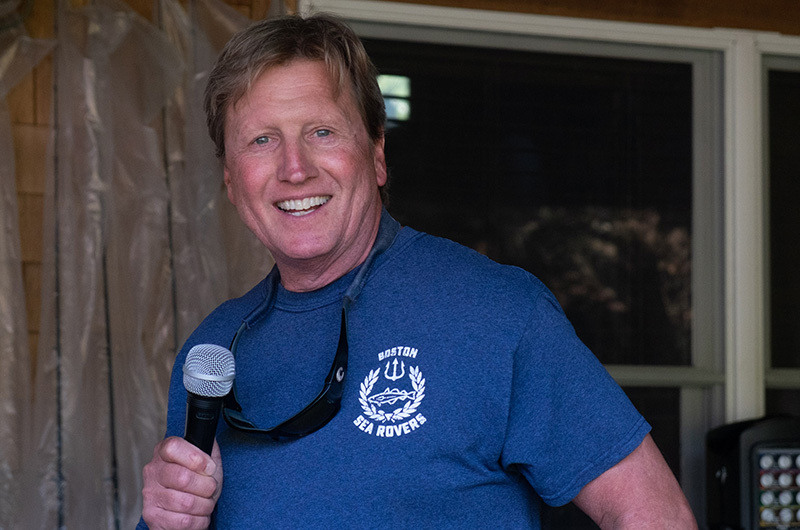 Over the past forty years, Don has trained more than 2,500 scuba divers and literally written the book on scuba diving in and around Cape Cod and the Islands. 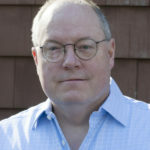 His titles include: “Cape Cod’s Anthology of Shipwrecks”, “Exploring The Waters of Cape Cod’, and “Beneath the Waters of Massachusetts Bay”. When taking stock of our physical abilities and capabilities as we age, there are absolutes that divers should be familiar with. The good news is that with age usually comes wisdom and that improved judgment and reasoning can help you compensate for most negative body function changes. Knowing that we will have some level of impairment as we age guides us make accommodations and still dive safely. Aging is a fact of life but how we handle growing older can make the difference between enjoying diving well into our Golden Years and having to prematurely hang up our fins. Dan Orr is President of Dan Orr Consulting, providing a variety of services to the global diving community. 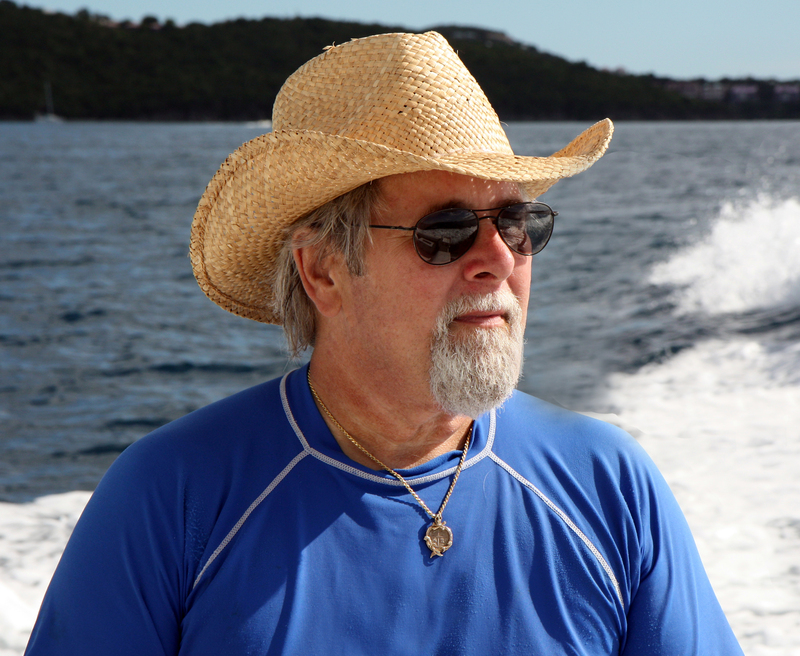 Retired from the position of President of Divers Alert Network (DAN), Dan currently works with many non-profit and for-profit diving organizations including the Academy of Underwater Arts & Sciences, DEMA, the RSTC, Force Blue, the UHMS, Best Publishing, and WCH Media Group. 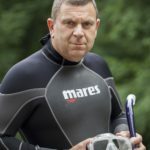 He has authored and co-authored hundreds of articles and published books and manuals on diving topics including Scuba Diving Safety. He is a member of the International Scuba Diving Hall of Fame and received the Leonard Greenstone Award for Diving Safety. The Cambrian Foundation (est. 1994) has long been affiliated with technical and scientific diving, and we were one of the first organizations to successfully integrate students onto our research teams, giving them a glimpse of the delicate world beneath their feet! Join us on a look back at the last 20 years! Amy Giannotti is a marine ecologist and serves as the president of the Cambrian Foundation, Inc., based in Orlando, Florida. She has extensive experience in freshwater and marine environments, including underwater caves and problems with invasive species. Amy has a B.S. in biology from Marietta College and a M.S. in environmental sciences from the University of Virginia. During her career with the Foundation and in conjunction with Foundation research expeditions worldwide, she has initiated many educational and outreach programs for youth, including a variety of projects related to the preservation of cave, karst, groundwater, and marine systems in these regions. The New England Coast is dotted with amazing dive sites. Some are well known, others have yet to be discovered. For the last few years, their team has focused on looking for new wrecks and sites from Massachusetts to Maine. Along the way, they have made some great discoveries and learned important lessons. They are looking forward to sharing both. For over 20 years, Ryan has been diving, teaching, and photographing marine life, caves and wrecks from Canada to the Caribbean. He has a passion for helping others enjoy and appreciate the underwater world. 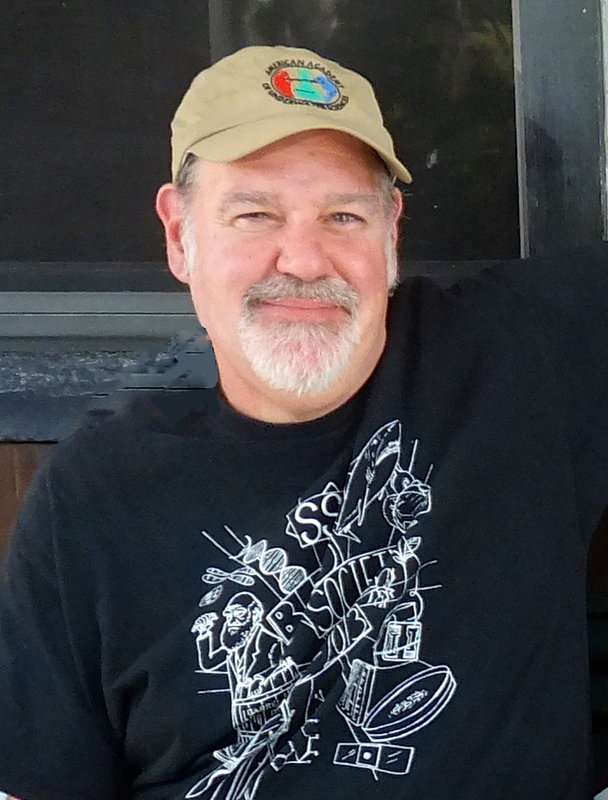 Based in New Hampshire, Danny has been diving for 15 years and is passionate about both cave and wreck exploration. 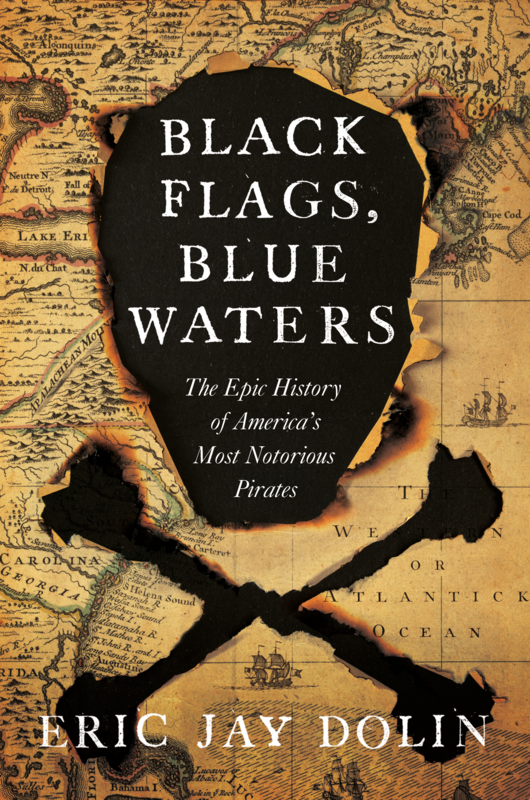 With history always being the favorite subject, the pull of New England wreck diving leads to many hours both underwater and researching online. Danny has lived and dove around the world but his favorite place for diving and exploration remains the wrecks of the North Atlantic. White sharks are coming back to Cape Cod in response to dramatic increases in seal abundance. In 2018, Massachusetts experienced its first fatal shark attack since 1936. The key to reducing negative interactions between white sharks and people is a better understanding of white shark behavior. This presentation will focus on this research. Dr. Gregory Skomal is an accomplished marine biologist, underwater explorer, photographer, aquarist, and author. Through the Massachusetts Shark Research Program, he has been actively involved in the study of sharks since 1989. His research on shark ecology, life history, and behavior has spanned the globe from the Arctic Circle to the Red Sea. Seagrasses are important nursery habitats, significant primary producers and sequester substantial quantities of carbon. These critical ecological services make them important near-shore habitats. Due to the shallow nature of their distribution, they are also at substantial risk from warming water temperatures and rising sea levels. This talk will discuss the future of seagrasses in our changing seas. The coast of New England is covered in vast meadows of kelp. These forests give homes to fish and lobsters, buffer our shorelines, feed many species, and more. How will shifting climates affect their future? Hear how researchers are trying to assess the long-term health of New England kelp beds around the region. Phil received a PhD from Northeastern University studying carbon metabolism of eelgrass and has worked at the US EPA for over 29 years as a marine biologist. 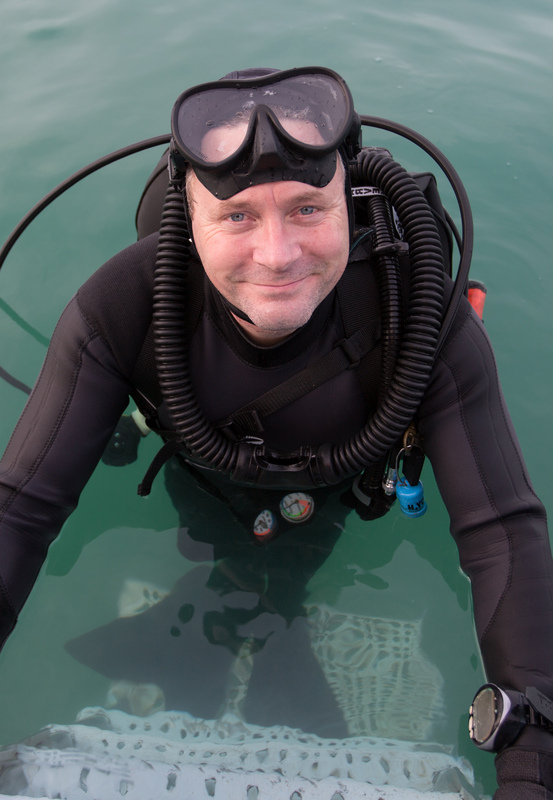 A US EPA certified Scientific Diver and Divemaster, he serves as the alternate Unit Dive Officer for the Region I dive team. Having spent over 500 hours underwater in seagrass meadows for science, his current research focus is on carbon sequestration by eelgrass and using high resolution satellite imagery to estimate seagrass abundance. 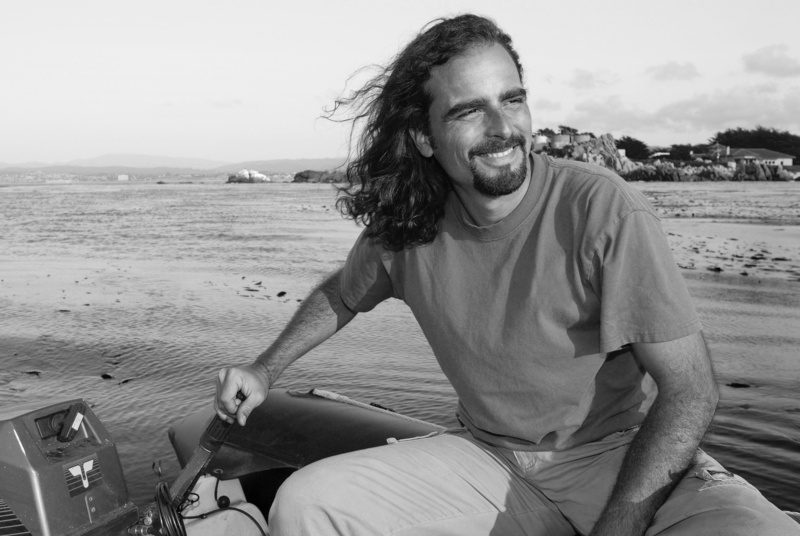 He was awarded a Gulf of Maine Visionary award in 2014 for his work in seagrass conservation. Jarrett Byrnes is an Assistant Professor of Biology, UMass Boston. His research focuses on the causes and consequences of complexity in nature. He is interested in how humans alter the diversity and interconnectedness of life on earth. Understanding how these changes alter the services that nature provides is a critical need as we watch ecosystem after ecosystem collapse. Jarrett coordinates the Kelp Ecosystem Ecology Network Of New England (KEEN ONE). 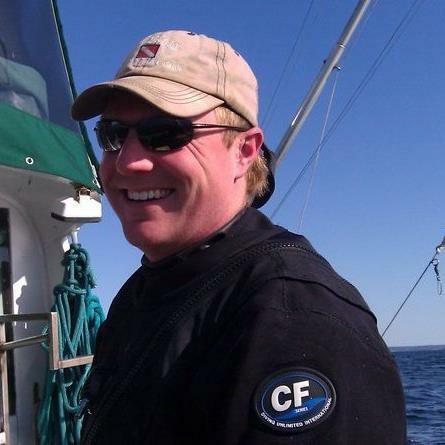 Ted Maney is a biology instructor and underwater researcher at Salem State University. 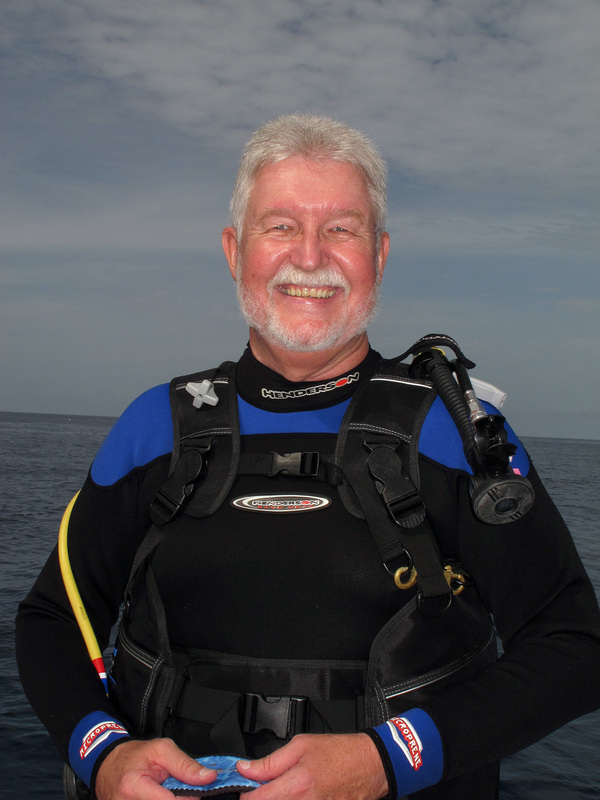 Formerly the Diving Safety Officer at Northeastern University and a past President of the American Academy of Underwater Sciences (AAUS), Ted has been training scientific divers and conducting underwater research for over 35 years. Current research projects involve benthic marine ecology studies of rock walls, kelp beds, and eel grass communities in addition to offshore mussel aquaculture. Ted earned his M.S. at UMass Boston studying the ecology of the marine gastropod Lacuna vincta and its role as a member of the kelp bed community. Rapid warming in the Gulf of Maine is altering ecosystem structure and function and threatening the livelihoods of thousands of fishermen. To sustain the fisheries resources and heritage of the Gulf of Maine, fishermen, scientists, and managers will need to work together to adapt our fisheries to changing conditions. The Gulf of Maine is rapidly warming, yet it also harbors high levels of variability in environmental conditions. Brian will discuss the role of environmental heterogeneity in the GOM and the Eastern Mediterranean in providing “rescue sites”, including methods used to visualize, monitor and map these impacts. Marissa McMahan is a senior fisheries scientist at Manomet. She received a Ph.D. in Ecology, Evolution and Marine Biology from Northeastern University in 2017. She has studied marine ecology and fisheries in the Gulf of Maine for over a decade. Much of her life has also revolved around working as a commercial fisher. Her research focuses on strengthening and diversifying fisheries opportunities in the Gulf of Maine, in an effort to preserve fishing cultures and traditions, while also promoting a healthy and resilient marine ecosystem. Brian Helmuth is a Professor at Northeastern University’s Marine Science Center in Nahant, where his research and teaching focus on the impacts of global climate change on marine ecosystems worldwide. His lab also produces educational tools including underwater virtual tours to communicate marine science and climate change. Brian has been conducting marine research for over 30 years and on every continent. 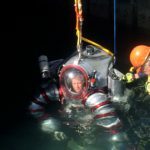 He has been an aquanaut on several saturation missions in the Aquarius underwater habitat, and in 2014 was a team member and science advisor on Fabien Cousteau’s Mission 31 project. Brian earned his PhD at the University of Washington in Seattle. What makes a dive go well or poorly? How can divers predict and improve their performance? We present progress towards a statistical model describing how personal and environmental factors affect dive outcomes for scientific divers, and discuss a tool we developed to help divers visualize their own strengths and weaknesses. Emmett has a background in physics and data science, and first began diving as a scientific diver for Woods Hole Oceanographic Institution. Emmett currently works as a launch engineer for SpaceX. 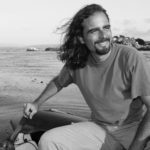 Giorgio has a PhD in Geology and is qualified as Advanced European Scientific Diver, AAUS Scientific Diver, IDSA Commercial Diver and a NAUI Diving Instructor. The Italian representative at the European Scientific Diving Panel of the European Science Foundation from 2010 to 2015, Giorgio moved from Europe to the USA in 2015 and founded geoaquaconsulting.com. In 2018, he was awarded the prestigious “Tridente d’Oro” (Golden Trident) from the International Academy of Underwater Sciences and Techniques. 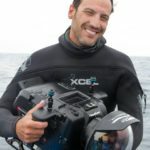 Giorgio currently works as a scientific diving operations and training consultant for the Woods Hole Oceanographic Institution. The 1778 Battle of Chestnut Neck, between British and local privateers on the Mullica River. Using side-scan sonar equipment and scuba dives we have mapped these shipwrecks, documenting their location and condition. We discovered three previously unknown shipwrecks and are nominating them to the State/National Registers of Historic Shipwrecks. Capt. Steve is a well known Jersey wreck diver and authority on shipwrecks. He is a Fellow and former Executive Director of the Explorers Club. Discovered and named for Queen Isabella by Columbus 500 years ago, the Gardens of the Queen have remained isolated, protected and open only to the fortunate few. Just as those who risked life and limb to discover these magical gardens, divers today enter into what looks like certain death. Silky sharks, grey reef sharks, crocodiles, and barracuda maintain a constant vigil between the entering diver and spectacular, healthy reefs. Learn what makes Jardines de la Reina the Jewel of the Caribbean and a must-dive destination, even for the most seasoned diver. Explorer and filmmaker Nancy McGee has lived a life of adventure and diversity. Known as Ms. Exosuit, AKA the Pachyderm Princess, she is the first female Exosuit pilot as well as a magazine centerfold (next to a 3000 lb. swimming elephant). The Explorers Club recognized her with a Fellowship for contributions to scientific knowledge in the field of geographical exploration, which include filming in locations so remote that local natives have never before seen Western people. Nancy produces, edits and films her own documentaries with a unique historical spin on culture and the marine ecosystem. Nancy is a member of the Ocean Artists Society and the Women Divers Hall of Fame. Patrick Madden has been diving since 1968, becoming a Certified Master Instructor/Instructor Trainer. He is a retired 26-year Veteran of the Royal Canadian Mounted Police (RCMP) and was the dive supervisor and instructor of the RCMP Underwater Recovery Team in Manitoba Canada for 7 years. 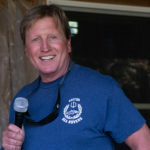 Pat is a member of The Explorers Club and has been featured in documentaries by National Geographic and Canadian television networks such as the CBC, CTV and Global TV. 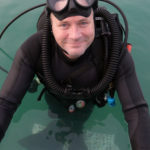 Join award winning cinematographer and underwater film producer Rick Morris as he embarks on a new world of underwater imaging using iPhones to shoot and create his films with subjects ranging from Whale Sharks in Mexico to the macro world of the Philippines. Taking this striking technology underwater with the latest developments in imaging equipment and bringing the world of underwater photography and film to every sea lover, Rick demonstrates how this now common technology has progressed to the point of shooting feature films. 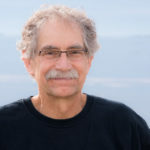 Rick Morris has been working in broadcast television for more than 30 years, 3 years as the documentary producer/videographer for the Census of Marine Life and the Encyclopedia of Life Projects. Rick has shot and produced programming for many of the major networks and cable channels as well as for non-profits and NGOs like national Geographic, The Nature Conservancy, BBC, Canadian Broadcasting and the New England Aquarium. Do you like finding new places to explore? This presentation offers a brief introduction to places most people can not find on a map: from the temperate waters of Tasmania and Hornby Island to the warmth of the Azores and Croatia to the polar waters around South Georgia and South Sandwich Islands. Prepare to add new places to your bucket list! 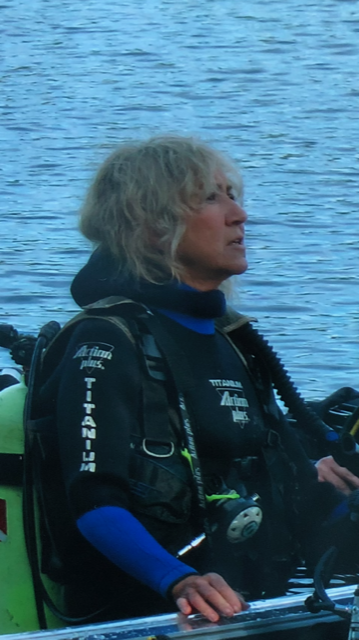 Starting as a scientific diver and volunteer public safety diver in the 1980’s, Faith became a technical diver and dive store owner in MA before joining DUI’s sales team. 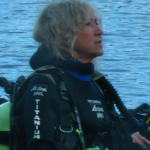 She worked with DUI to develop some of the first women’s drysuits and created DUI’s DemoTour and DiveOps Programs, which promoted local diving and education about drysuits. With thousands of dives over her 40-year diving career, she has led expeditions to all 7 continents and all 5 oceans including both poles. She now devotes all her energy to her new company Blue Green Expeditions, running guided expeditions to unique destinations. In this presentation, Captain Joe Mazraani and Jennifer Sellitti of dive boat Tenacious will focus on the discovery of ships hunted by U-53 off the coast of Nantucket on October 7, 1916 with emphasis on the captivating history of the Stephano, a steamship from the Red Cross Line located and identified by Captain Eric Takakjian in the 1990s. The presentation is comprised entirely of photographs and video sourced from underwater dive videos, museum archives, newspapers, interviews with survivors, and U-boat commander logs. Shipwreck exploration is a way of life for Joe Mazraani. He owns and operates the dive vessel Tenacious, which was specifically acquired and outfitted to accomplish several projects, including locating and exploring the U-550 and other deep, uncharted wrecks in the North Atlantic. A criminal defense attorney by trade, Joe holds an open-circuit Trimix certification and was recently certified as a closed circuit diver. Jennifer Sellitti is a regular crew member of the dive boat Tenacious, managing a number of topside operations during dive trips. She also performs historical research on the ships Tenacious dives and to help locate ships that are the subject of new projects for the team. Jennifer also develops and delivers presentations on Tenacious projects with the goal of educating the public about the historical significance and importance of wreck diving in the North Atlantic. World renowned underwater photographer and owner of Backscatter, Berkley White shares behind the scenes details from his latest expeditions in the Cenotes of Mexico and the wrecks of Chuuk, Micronesia. This is a crash course about blending these technical dive skills with capturing unique photographs in extreme environments. Berkley will share how he transports cameras on technical dives for maximum safety and creativity using tripods and painting his unique photographs with lights. If you’re an intermediate or advanced diver with photographic inspirations, this is a session you don’t want to miss. PLEASE NOTE: This presentation topic might change if Berkley White is weathered out in Chuuk two weeks before the Boston Sea Rovers event. Please check with the Boston Sea Rovers staff and on-site signage for updates. Berkley White’s passion for the ocean and diving led him to establish Backscatter Underwater Video & Photo in 1994. Backscatter has grown to be one of the largest underwater photographic equipment suppliers in the world with two locations in the US and is a great resource for technical support related to underwater imaging. 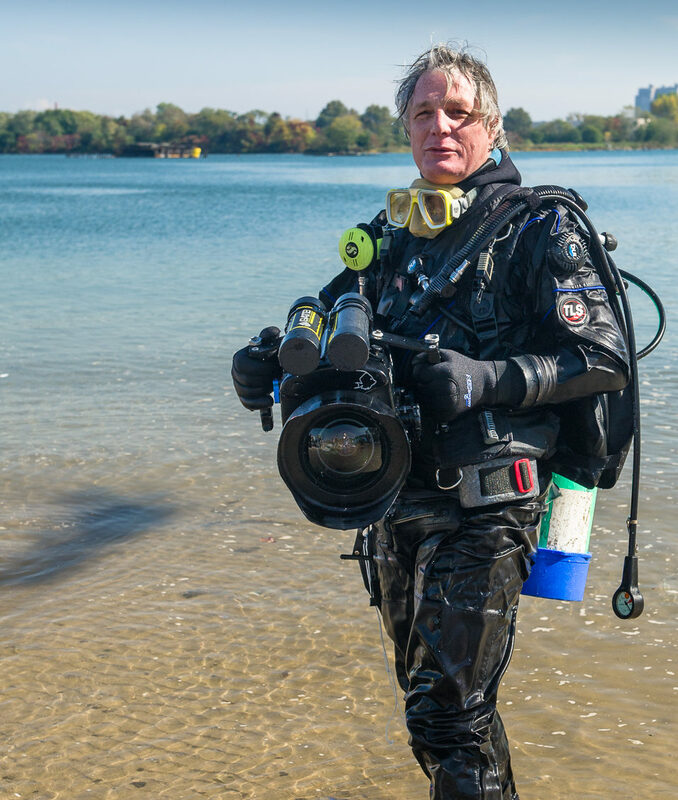 Berkley’s images and technical articles are published in US and international dive magazines and he regularly serves as a photographic judge or technical editor on publications. Berkley runs a full schedule of exotic underwater photo safaris each year and training events such as the Digital Shootout. His portfolio and presentation schedule can be found at www.backscatter.com. George Buckley is Director of the Sustainability and Environmental Management Project and has led field research projects with Earthwatch Expeditions on horseshoe crabs, bay ecology and coral reefs. His work has been recognized with the EPA Lifetime Achievement Award, the BTS Diver of the Year, Bonaire’s Golden Flamingo Award, Harvard University’s Distinguished Service Award, the ENVIROTHON Award, and the ‘Palme d’Or Award’ for the film ‘Bonaire Bonanza’. He has served on the Board of Directors of the Boston Sea Rovers, the New England Aquarium, the EARTHECHO Foundation, the Boston Malacological Club, and Bonaire’s ACCOLADE Foundation. The regions of Taveuni and the Kingdom of Tonga each have something very special to offer the traveling diver. Taveuni, Fiji, with its famous Rainbow Reef is home to beautiful hard and soft corals, and schools of colorful fish. The waters around Tonga are where the southern Pacific humpback whales come to birth and feed their young. Snorkelers get to witness the young calves play in the water as they feed and prepare for their journey south. Andy Martinez specializes in images of the natural world and has traveled and photographed in many of the world’s beautiful tropical islands. As a lifelong resident of New England he has compiled one of the largest collection of images of marine life behavior from New England and Eastern Canada. His book “Marine Life of the North Atlantic” is considered a must have for New England divers. Andy also authored an award-winning book for young readers, “Pier at the End of the World”. Frauke Tillmans, PhD, is Research Director at the Divers Alert Network (DAN). Originally from Germany, Dr. Tillmans has a degree in Biology and a PhD specializing in oxidative stress (free radicals) which is involved in acute diving injuries and may affect long term health of divers. 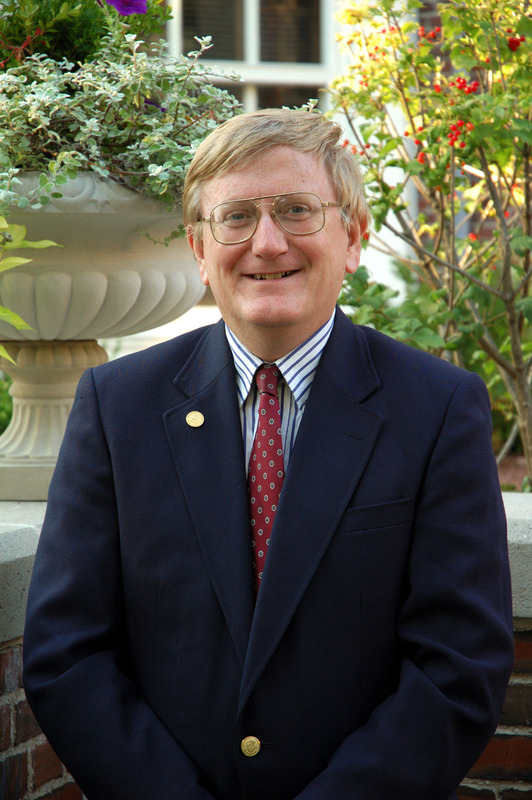 Dr. Tillmans is also a very experienced scuba diver, diving instructor, and scientific diver. She has worked as a researcher in a European collaborative project covering decompression stress and was employed with the German Navy before moving to the US. This presentation will explore historical aspects of black and white photography and some of the pioneering artists who helped the medium gain acceptance as an art form. It will also examine the works of contemporary masters such as the renowned Ernest H. Brooks II and others — and a variety of techniques (and photographic examples) both digital, analog and “hybrid” that are being used to create new and different types of expressive black and white underwater imagery. This presentation may help you re-evaluate how you see and “feel” your photographic subjects, even the ones that you may have previously felt too commonplace and mundane. This lecture will also delve into the thought process of photographing in black and white and examine the concepts of “pre–visualizaton,” “post-visualization,” and the “non-process” of simply allowing and trusting our intuition to help us create images conveyed in our own unique artistic voice. 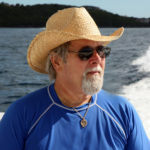 A widely published still photographer, Chuck’s images have appeared nationally and internationally in magazines such as B+W, ORION, LIFE, National Geographic, Audubon, Nature’s Best, Defenders, National Wildlife, Outside, Scientific American, Terre Sauvage, BBC Wildlife, Italy’s FOCUS/Extra, Ocean Realm and numerous Cousteau publications. His fine art black and white and color work has been represented in special exhibitions by the Ansel Adams Gallery, the Christopher Bell Collection Gallery, the OCEANS Gallery in Los Angeles and in multi-photographer exhibits at the National Geographic Society/Explorer’s Hall in Washington, D.C., Nikon House/New York, The Center for Photographic Art, Brooks Institute and the San Francisco International Airport. A magical world of brilliant and unexpected color awaits those who dive at night with the right lights. 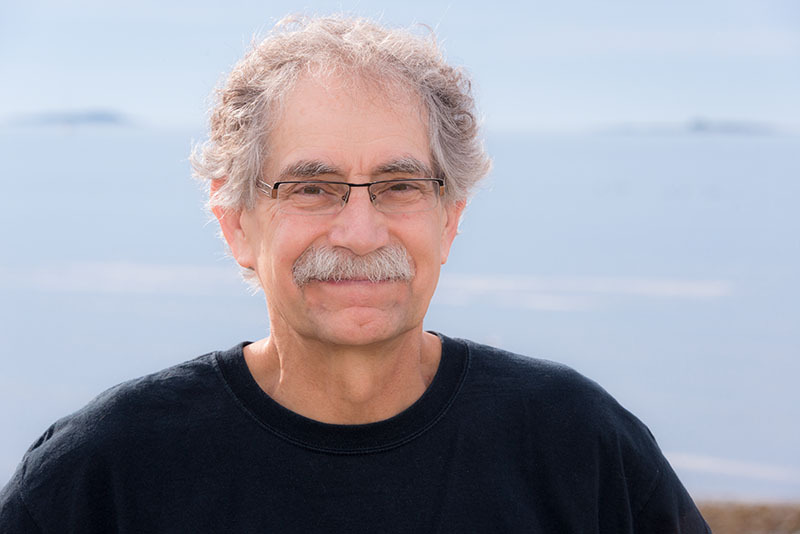 Charles Mazel, the pioneer of the modern era of fluorescence diving and founder of NIGHTSEA, will present an update on fluorescence observations and science from around the world. A magical world of brilliant and unexpected color awaits those who dive at night with the right lights. Charles Mazel, the pioneer of the modern era of fluorescence diving and founder of NIGHTSEA, will present an update on fluorescence observations and science from around the world. He will also be offering a half-day workshop on fluorescence imaging on Sunday. Each summer, the Gulf Stream is responsible for transporting tropical fish, larvae, and eggs north to the coast of New England most of which will not survive their first New England winter. The goal of the GSO project is to build a comprehensive data set with contributions from researchers and citizen scientists to better understand the phenomenon of Gulf Stream Orphans and their environmental impact. Mike is a Master’s student in the Marine Science and Technology Program at UMass Boston and an Aquarist for the New England Aquarium. He became fascinated with the occurrence of Gulf Stream Orphans while diving in the Northeast. Through his website, he hopes to improve our understanding of the phenomenon, teach us more about how climate change is affecting our oceans, and promote environmental conservation efforts at regional marine research institutions. Joe Romeiro shares his experiences working with and filming Mako sharks spanning over a decade. He discusses their behavioral aspects, shows never before seen footage and stories about sharing space with the predator considered “The Cheetah of the Sea”. He will discuss surprising evidence that raises some big questions about the life and mind of the Mako Shark. Growing up in and around the water, Joe Romeiro developed a love for the ocean at a young age. After seeing his first shark when he was just 5 years old, he has been captivated by them ever since. A self-taught filmmaker, Joe founded 333 Productions in 2007 with fellow producer & shark conservationist Bill Fisher. Since then, 333 Productions has produced several award-winning films, including “Silent Requiem”, “Death of A Deity”, “A Lateral Line” and “Shark Culture”. 333 Productions has received numerous awards for their work, including the prestigious Blue Ocean Film Fest’s “Emerging Underwater Filmmaker Award” and “Best New Cinema” in 2009, the ADEX “Underwater Video Of The Year Award” in 2010, Ocean Geographic’s Award for “Conservation Excellence” in 2011, Wildlife Conservation Film Festivals 2011 Award for “Education”, Beneath The Waves “Best In Cinematography” 2011, and many others. 333 Productions specializes in Hi Definition underwater cinematography. With the EPIC RED underwater cinema system, they provide the highest quality underwater footage available and have worked with BBC, Discovery/USA/Canada/Europe, SHARKWEEK, National Geographic, Good Morning America, USA Today, Fox, WGN and MSNBC. The octopus is getting a lot of press regarding new discoveries about their “intelligence,” brain structure and gigantic genome. Roger will summarize these in the context of what a diver might observe underwater, and demystify some of the behaviors you see on coral reefs, kelp forest, rock reefs and muck diving. 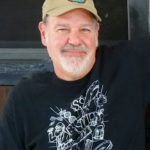 Roger is a Boston Sea Rover and an active diving biologist who gives frequent public talks and television presentations. Roger has been a frequent presenter at past Clinics, including on the Saturday Night Film Festival in 2008 and 2018. 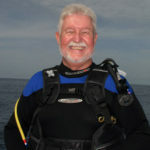 Roger is gifted at conveying marine science research and discovery in simple, enjoyable terms to the diving community. The Alaskan wilderness is known for rugged snow-capped mountains, dense forests, captivating waterfalls and myriad wildlife. In this beautiful but harsh frontier land, few people venture below the waves to experience the underwater beauty of this the 49th state. Join Eco-Photo Explorers as they dive the cold waters of the Prince William Sound to uncover its secrets. Along the way, the viewer will join the search for Salmon Sharks, Giant Pacific Octopus, colorful marine invertebrates and schools of Salmon swimming in frigid rivers fed by melting glaciers. 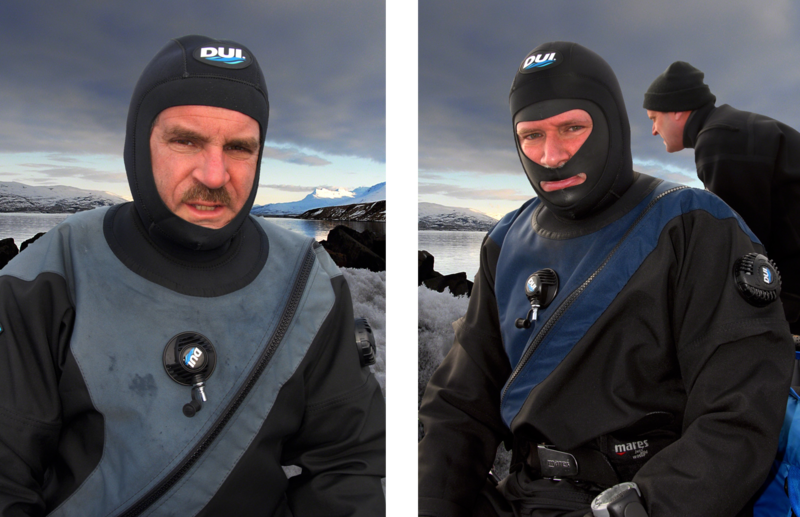 Michael Salvarezza and Christopher Weaver have been diving the waters of the world since 1978. They have presented their work in many multi-media slide presentations and have been published in numerous magazines including National Geographic Adventure. Their work has also been used to support a number of research and educational programs, including the Jason Project for Education, the Atlantis Marine World Aquarium in New York, the Cambridge University and the University of Groningen Arctic Centre work on monitoring the transformation of historic features in Antarctica and Svalbard. Croatia is a land of beauty, history and wine. Its undersea world offers serene, captivating dive sites and marine life, shipwrecks, and ancient artifacts. Meet an enterprising vintner who has made the sea the cellar for his amphora-encased wines. Join noted underwater filmmaker Paul Cater Deaton as he explores the secrets of the Adriatic Sea. In a water trough on a Texas cattle ranch in 1959, a little cowboy named Paul Cater Deaton learned how to clear a mask after watching an episode of Sea Hunt on TV. Having filmed on six continents over a long and distinguished career, PCD has earned numerous industry awards as a Writer, Producer, Director and Cinematographer and his work is broadcast and published internationally. Paul was one of the original filmmakers attached to Ocean in Google Earth. Recent credits include Segment Producer, Director and Cinematographer for the Discovery Channel, Cinematographer for HBO Documentaries, and Principal Underwater Cinematographer for The Amazing Race.